Instapaper has parted ways with Pinterest and their Premium features are once again only available for an additional fee of $20. For me that’s a very small price to pay for loads of improved productivity! The first time I downloaded the Instapaper app was about 3 years ago. But I couldn’t understand what all the hype was about. Maybe that’s because I’d always used Safari’s ‘Add to Reading List‘ utility, which works a little bit in the same way. Maybe it was because earlier versions of Instapaper weren’t as good as the app is now. I really don’t know. But today I’d be hard pressed to function without Instapaper! In those early years I really did struggle to understand Instapaper…I put some real effort into it because so many people I looked up to swore by it. I’d save articles to read later, but when I opened the app they were seldom there. When I did find them I’d read them and afterwards some of them I’d want to keep stored away…in files or notebooks of some kind for future use…but I couldn’t figure out how the organizational structure worked. I felt like I spent hours either searching for things I thought that I’d saved, or just trying to organize my saved content in some fashion. At one point I remember opening another account with another connected type of service that would save my articles from Instapaper…maybe it was called Readability? But then I needed to remember how to sign into and use 2 things…which of course I had to learn first! Ultimately I just gave up on it. This happened at least twice that I can remember…more than likely it was 3 or 4 times though. It usually went something like this…about a year’s time would pass and something would remind me of Instapaper so I’d try it again. But the same results usually prevailed. Ironically, I always confused the two! I’ve always been slightly dyslexic. Most often with numbers…but I also rely much too much upon the letter a word begins with and what the ‘structure’ or ‘shape’ the word takes is like…I guess basically I see words as shapes. And 2 Insta’s ending with gram and paper…just had too many similarities for me! For example…a 4 letter ending and a 5 letter ending both take up about the same amount of space…and they both have a’s in them…a gram can also be paper…like in a telegram for example. I was pretty surprised a few years later when I finally realized that Instagram was only about pictures! 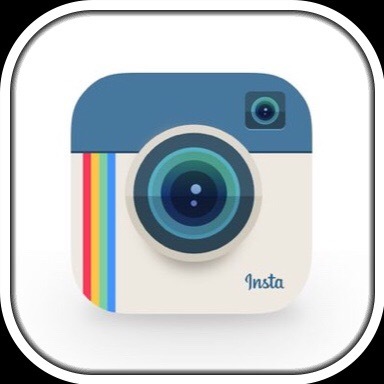 I could be wrong but I swear that an early app icon for Instagram was also white! This is how the playlist is displayed when it begins. If you want to follow along with each article just tap on the article & look for the blue cursor. 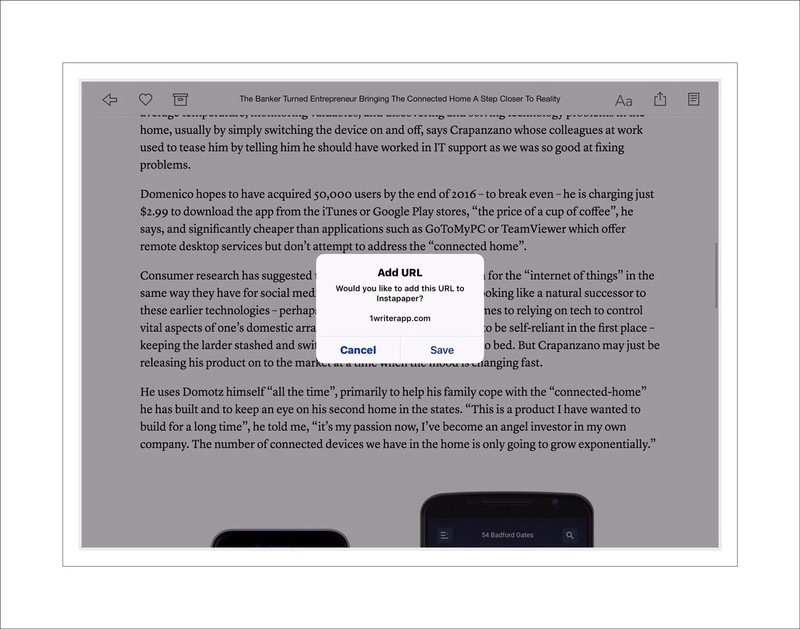 Instapaper will automatically display the current paragraph that it’s reading out loud to you and you’ll see the blue cursor moving word by word as reading progresses. Since discovering the Playlist feature I’ve found that I may now save upwards of 40 articles a day to Instapaper (not every day though.) Some of them I read and some I listen too. What I really love is that if I’m reading an article and it has links or videos within it, those can be opened or displayed right within the Instapaper app. If the ‘linked to’ article is also something that I want to keep, archive or share, I can immediately save that one to Instapaper too…right at the same time while I’m reading or listening! Sharing articles is pretty slick too! In fact this may be my second favorite feature. I can email articles to other people while reading them within the app. But what’s really cool is I can email the full text of the article, including photographs and hot links, instead of just sending a link. The article that’s sent is formatted beautifully. It’s so much nicer than just sending a link to someone, especially if you know that they won’t bother to read it otherwise. In general, Instapaper formats everything simply and beautifully. More important though is that everything is ad and pop up free. There are also user controls to tweak different aspects of the display. Below are a few screenshots showing just how easy it is to email an article in full text. Prior to doing this you need to go into settings to enable the full-text sharing feature first. Saving an article to Instapaper is as simple as bookmarking it. 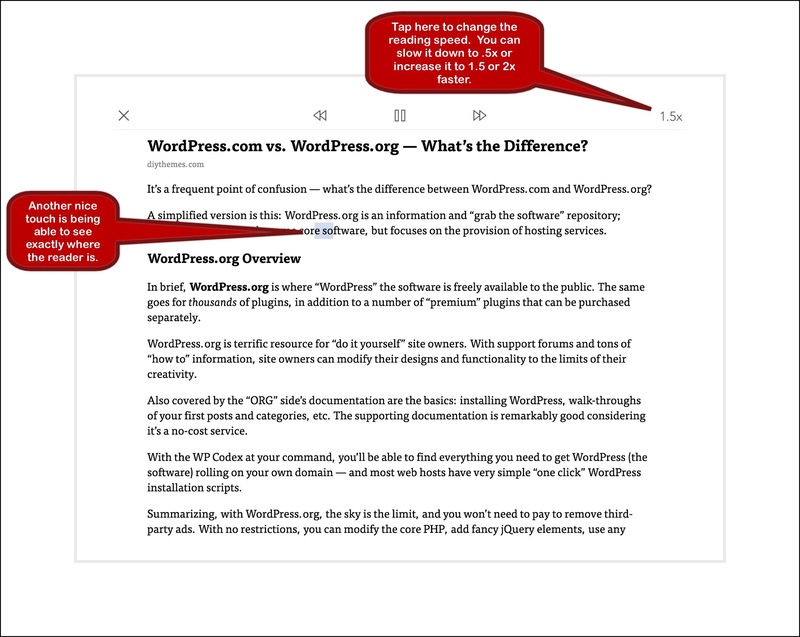 See my screenshots below for the steps and to see what it looks like when you open it in Instapaper. 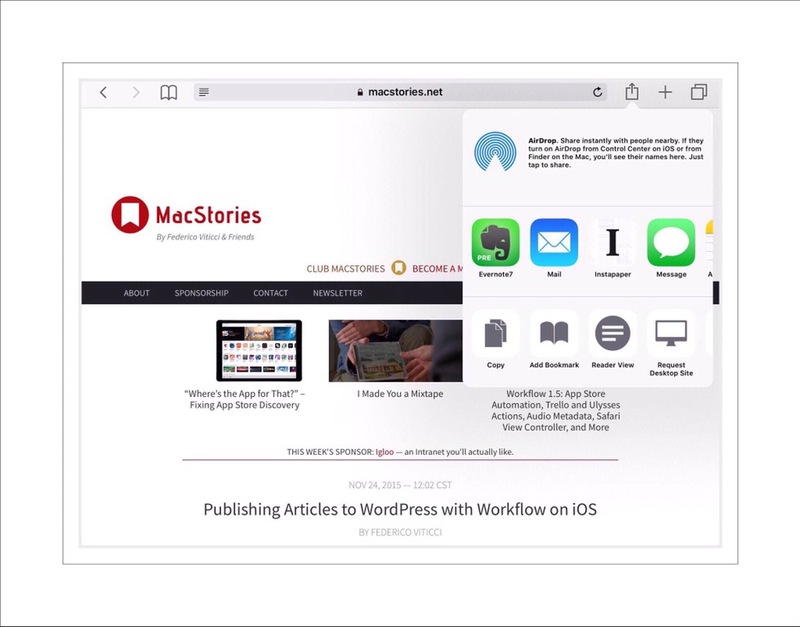 You use the same share extension icon in Safari that you do to bookmark webpages. After you’ve tapped on the Instapaper icon you’ll see Instapaper’s confirmation that the article is being saved up at the top of the page. 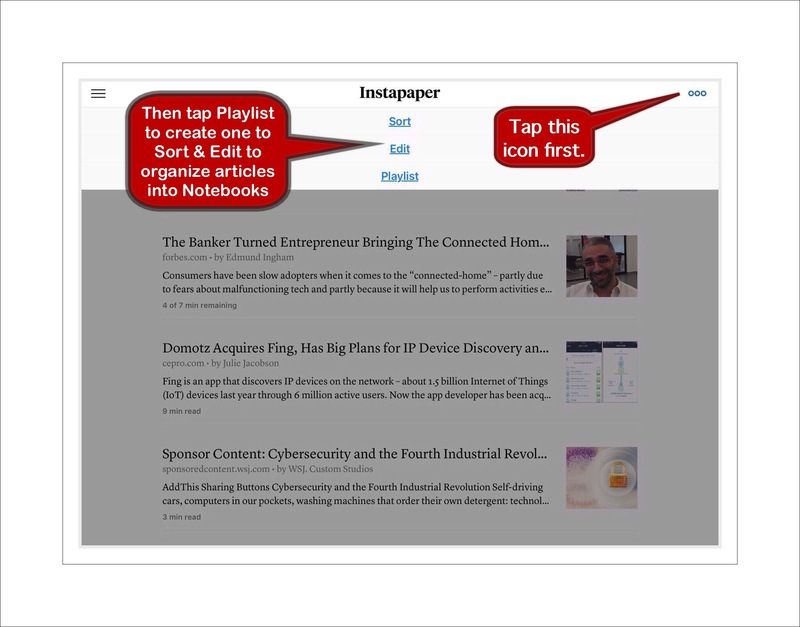 This is the main view you’ll see when Instapaper is opened on ios devices. 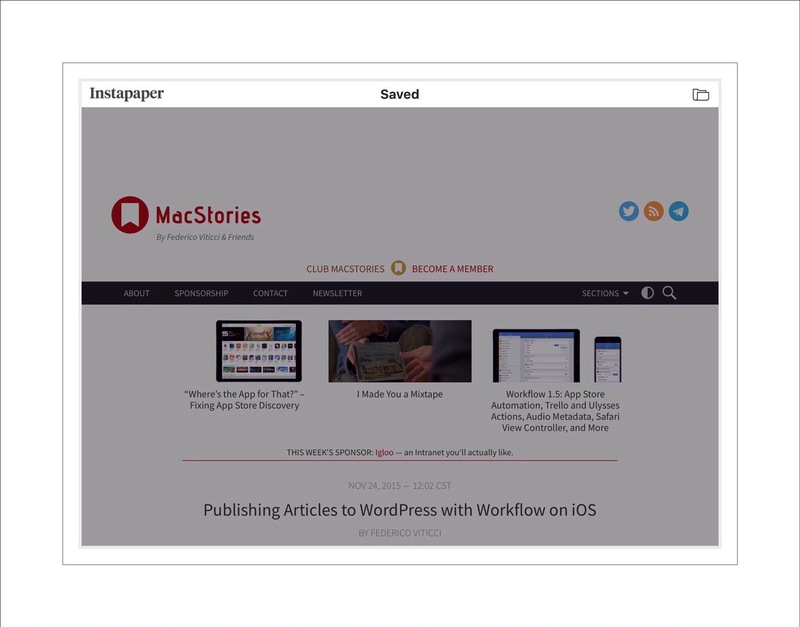 Instapaper is Free on All Devices! 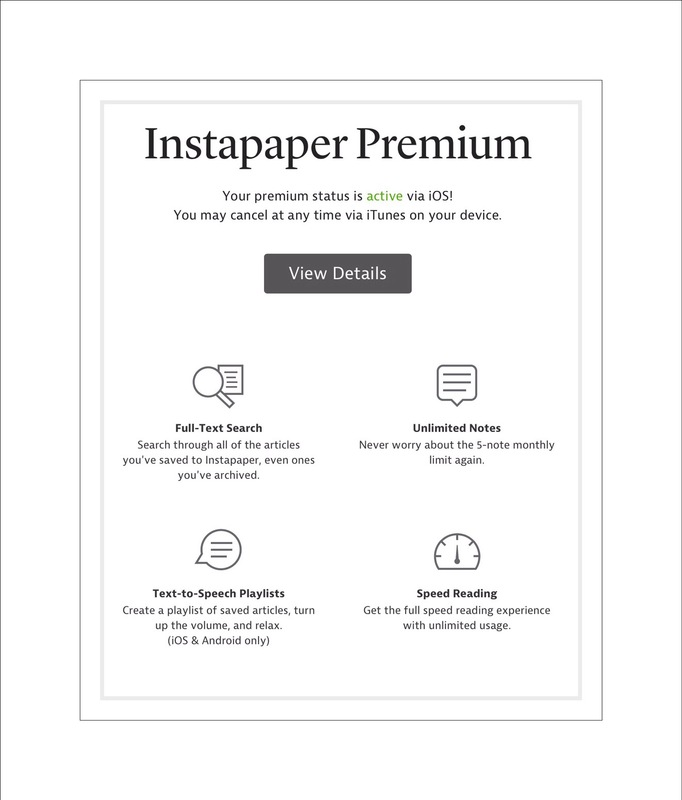 How Much Does Premium Instapaper Cost? 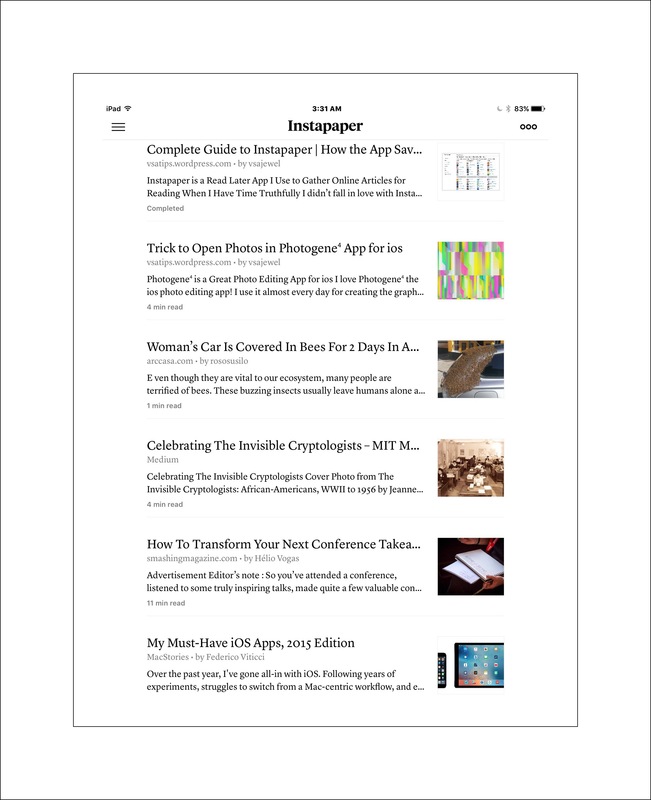 The Instapaper app and service is completely free! But if you want to use some of the advanced features that I’ve described you’ll need to get a Premium subscription which is $2.99 per month or $29.99 per year. Below is a screenshot showing what additional features Premium members receive. For me, it’s a very small price to pay for the additional hours of productivity that I gain in return. You can read more about Premium subscriptions here. Then tap on the Gear icon at the bottom of the index page that opens. 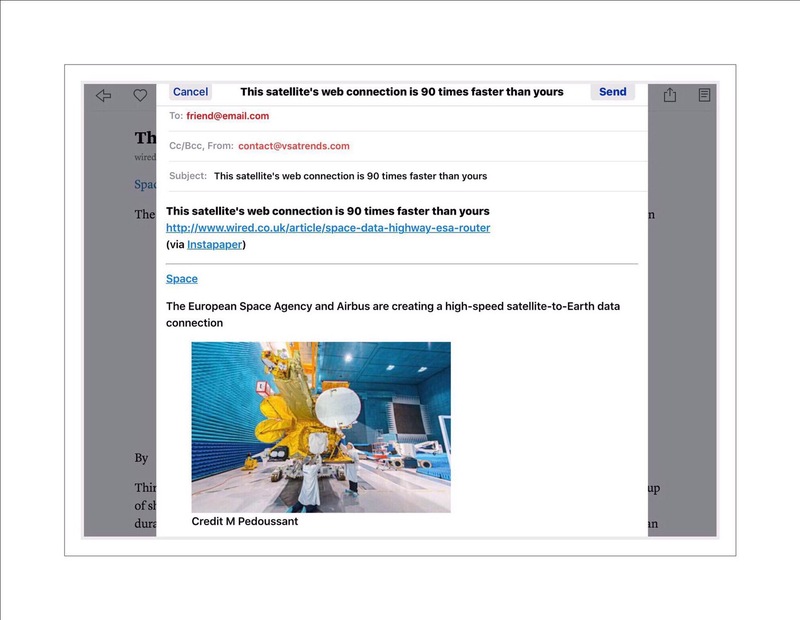 When ‘Full Text Sharing’ is turned on you are able to share an entire article including all it’ illustrations and photos via emails or texts. When it’s off, you are just able to share a link to the article. I really love sharing the full text alternative because I’ve found that when I send links to articles, often my recipients won’t open the article right then because they don’t have time…but then they’ll forget to come back and open it at a later. By sharing the full text of the article from the get go they can immediately scan it and decide for themselves whether or not it’s worthwhile for them. If they don’t deem the article worthwhile, they can immediately delete it. If it is…then they can ‘process’ it in their typical manner…either by saving it someplace that they use to accumulate reading material, or by flagging the email to remind them to come back to it…or they can simply just read it then delete it. I’m really conscious about trying not to overwhelm my friends and family with too much information. But because Instapaper has improved my overall productivity so much, I sometimes forget that my friends and family can’t process the same amount of data that I’m able to on a daily basis. This advantage is purely because I have this great aid at my disposal. I truly can and do process a whole lot more information than I used to! So it’s a really fine line sometimes deciding whether or not to share something. When I do share something, I think that sharing using the full text version can make it more manageable for the recipient. When Instant Sync is on as soon as you open the app it will begin syncing articles to your device. When it’s off you need to manually sync it by opening the app and dragging down on the list of articles. Under Advanced Settings there is an on/off button for Random Shake. I searched everywhere to find out what this was but failed so I finally emailed support. “The Random Shake option will open a random article from your Home queue if you shake/move the device enough to trigger the accelerometer’s reaction.” Um…OK…I don’t think I’d ever use that…but it sounds cool! but if you want to make it more complicated you can. Instapaper doesn’t support saving PDF’s but Kindle does. Kindle doesn’t support saving online articles but Instapaper does. By using both you can create a centralized repository for your work or personal interests. 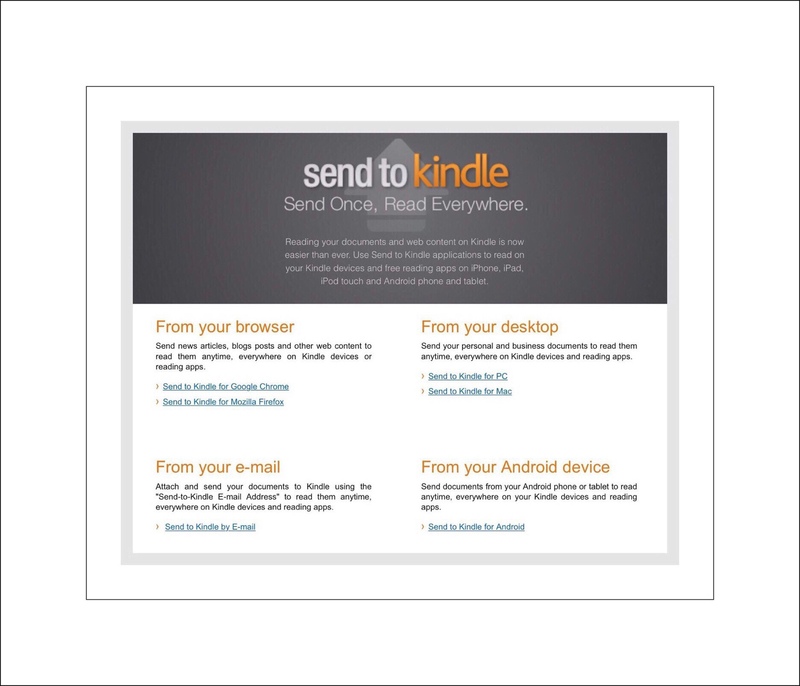 Most people who use Kindle know that you are automatically given a Kindle email address when you sign into one of the Kindle apps for the first time on any mobile device. This email address is device specific…meaning that if you use the Kindle app on several devices, each will have it’s own email address. As I mentioned above, one of the great things about a Kindle is that you can send any PDF to your Kindle reader just by attaching it to an email. This is great because then you can read all of your PDF’s using Kindle’s excellent viewing format. This can be extremely helpful for very long PDF’s which can be really difficult to navigate without some kind of built-in navigational aids. Some of you might be thinking right about now…well what’s so great about that, you can do that in iBooks too. That is true…but if you’ve used iBooks very much you’ll know that Apple’s iBooks is unreliable at best and can be catastrophic at worst. Side note: Capitalizing upon iBooks handling of PDF’s has become a favorite trick of ios power users who use iBooks as an impromptu PDF generator. Any document that’s sent to iBooks will automatically be saved in the PDF format…which can be really handy! This becomes even more handy because for some unexplained reason Amazon has chosen to not given ios users any way to save clipped or online content directly to their Kindle. Yet Amazon has evolved through the years and they now allows users of most popular platforms to save many different kinds of content to their Kindle reading apps on mobile devices. You can learn more about that here. You may note that there’s one obvious device that’s missing from this list however…ios devices! I suspect that Apple’s ‘sandboxing’ proclivities are the reason why. 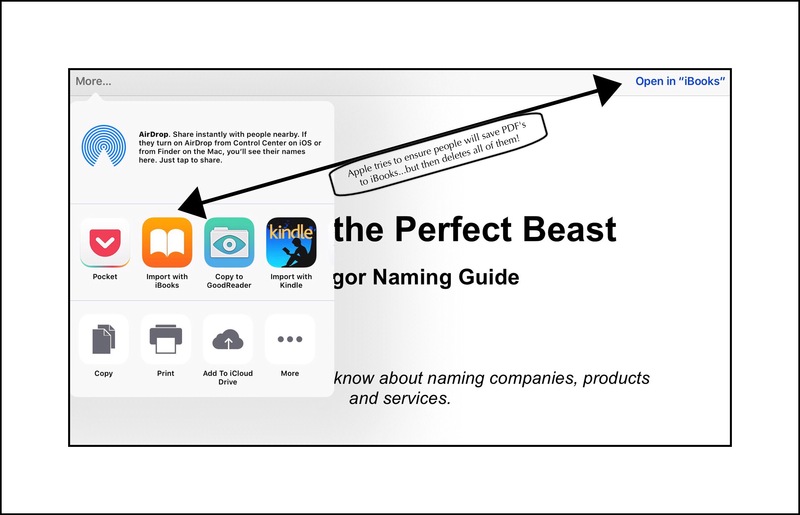 Apple just doesn’t ‘play well with others!’ So the ability to save online content to iBooks and then to email it from directly within iBooks to Kindle can sometimes make a big difference to users. Unfortunately, other than using iBooks for PDF conversions and for reading content purchased directly from iTunes, Apple’s reading app has extremely limited use. It shouldn’t…in fact if you read Apple’s hype about it, it doesn’t appear to…yet the sad truth is iBooks has some serious drawbacks. That’s because iBooks has been bug-ridden since its inception during the early iPod years. iBooks is also extremely frustrating to use! To say that iBooks is unintuitive is a massive understatement. When users do ultimately figure out how to work with their content in the app, and then expend major effort organizing all of their content…their changes rarely stick. They find out that their efforts were completely wasted! Combine that with iBooks propensity to wipe out complete libraries of saved PDF content and you should now understand why, when faced with the choice of using one of the 2 reading apps, I and many others like me will always choose to save our content to Kindle. It’s not really a feature that’s widely known of or used by very many people I think, but the ability to save all of your unread articles from Instapaper to Kindle can be a really handy feature, albeit an infrequently used one. Why would you want to do this? The main reason that I’ll use this feature is when I want to read longer articles…especially if I have a lot of them. This crops up sometimes when I’m researching something. Navigating through very long articles can be difficult even in Instapaper’s simplified view format…but by doing it in the Kindle app you’re provided with great navigational aids like a table of contents and a visual page based index running along the bottom of the display. This can make it much easier both to read and to bookmark pages as well as to keep notes. Kindle gives you several different colors of notes for your comments, as well as several different colors for highlighting versus Instapaper’s one. Some of the built-in lookup features in Kindle can also be quite useful as opposed to Instapaper’s in app web reading app. If you spend a lot of time reading digital content, you begin to learn what kind of content is best handled via which platform. This added flexibility gives you the ability to handle almost any kind of digital content in almost any manner that you might want to. It’s a really an easy process…once someone explains it. You need to have a Premium Instapaper account already setup. Using the various methods I’ve described above you should be able to save almost any kind of digital content and get it into your Kindle reader, thereby allowing it to become sort of a ‘central repository for collecting large amounts of data’ that are in several different formats. What to Do if Instapaper Doesn’t Work? Sometimes Instapaper just cannot save something. It happens. The 2 main occurrences of this are that the article just never appears in Instapaper or when it does it’s all goofed up and unreadable. The main reason this happens is because some websites actively try to block users from using read later types of apps. They do this because apps like Instapaper remove all of their annoying advertising…which of course is the huge appeal…thereby making reading the content of those websites pleasurable instead of frustrating. I’m the kind of person who grows impatient very quickly if I’m trying to read something and pop ups keep blocking my view. Plus that, some websites are just technically challenging for read later functionality. But sometimes websites use unusual code that Instapaper doesn’t parse correctly. In both instances emailing support with examples is both easy and very worthwhile! I’ve done this on only one occasion, but I had 2 problem websites to address. Support, (really the app’s developer I think) blew me away with a really quick reply that addressed both problems. One, he fixed immediately and the other he needed to do a little more work on but it was only a matter of hours. I was shocked but so impressed! A perfect example of one kind of site that Instapaper won’t work well with is also one of my greatest pet peeves involving what I consider to be Spam sites. I call them Spam sites because they aren’t trying to disseminate information at all…they’re just trying to generate revenue. They do so by coming up with intriguing titles that lead you to what is ultimately a one page site that’s filled with ads. If you’re lucky there’s one sentence that relates to the headline and it’s now obvious that this isn’t an article at all but just a list. Usually you have to really hunt to figure out how to even get to the next page…which ends up being a further lead in and not even one paltry list item. Each page that follows was is filled with spam, pop ups and ads. I’ve recently decided to never waste my time on these sites. As soon as I realize their intent, I leave, and if everyone did this, maybe this annoying trend would die a quick death! These types of sites are often shared by people you know or follow on Facebook or Twitter. Their intent of course is to cram as many ads in their readers face as possible! Let’s face it, if you can display 6 ads in a screenshot and your list has 10 items, that’s 60 ads that readers are forced to see. If readers have to figure out how to get to the next page, often they will be forced to look at some of the ads first as they try to discover how to proceed to the next page. Instapaper and other similar ‘read later’ apps have no good way of dealing with these kinds of scams. 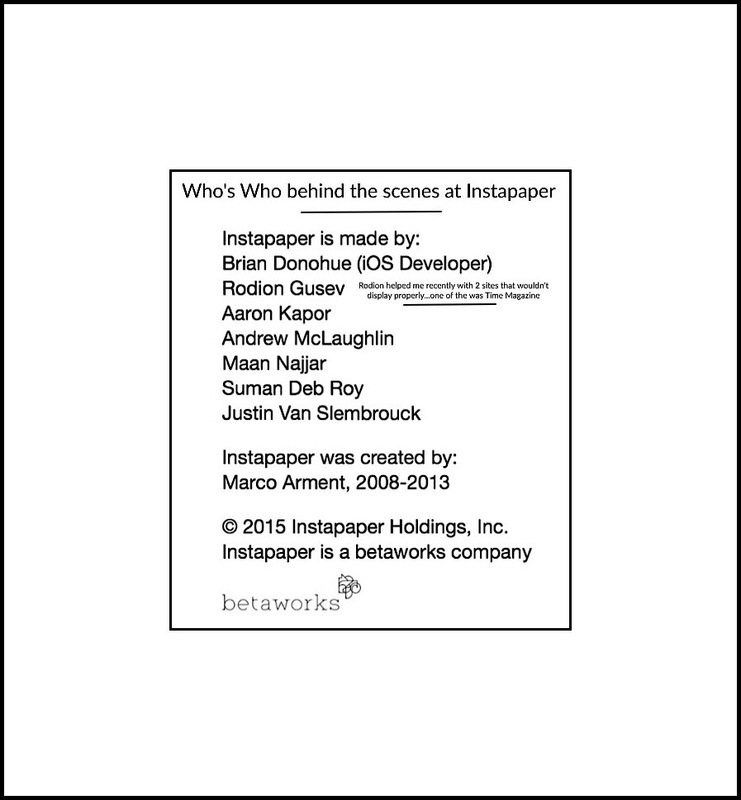 But in the case of Instapaper, I can say from personal experience that the app’s developer…who was in this instance Rodion…welcomed the challenge of trying to do so! He fixed both my problems within 24 hours…and it would have been faster if I’d replied to his email asking a follow up question sooner. Some sites that are very technologically advanced. They may have really cool transitions like sliding doors, or other equally awe-inspiring moving actions to them. You can’t hate them, so I’ll usually just start to read those sites the old-fashioned way, and admire the cool tech styling. If that kind of article ends up being very long though I’ll usually try to find another way to either get it into Instapaper or to have it read out loud to me. Sometimes I use a neat app called Reader View as the go-between Safari and Instapaper. Sites like Forbes.com – Forbes used to work fine…but their analytics must have shown them that a large percentage of users were using ‘read later’ technology so they began blocking it. A good clue that this is true is Forbe’s lame ‘Thought of the day’ screen that you need to click through to access their content. Although, this is pure speculation on my part. Sites that aren’t textual…say photo albums for example. You can probably have Instapaper read you the captions or whatever text there is…and the photos may be stunningly displayed…but really what’s the point? Sometimes too, Instapaper doesn’t display these types of sites photos. 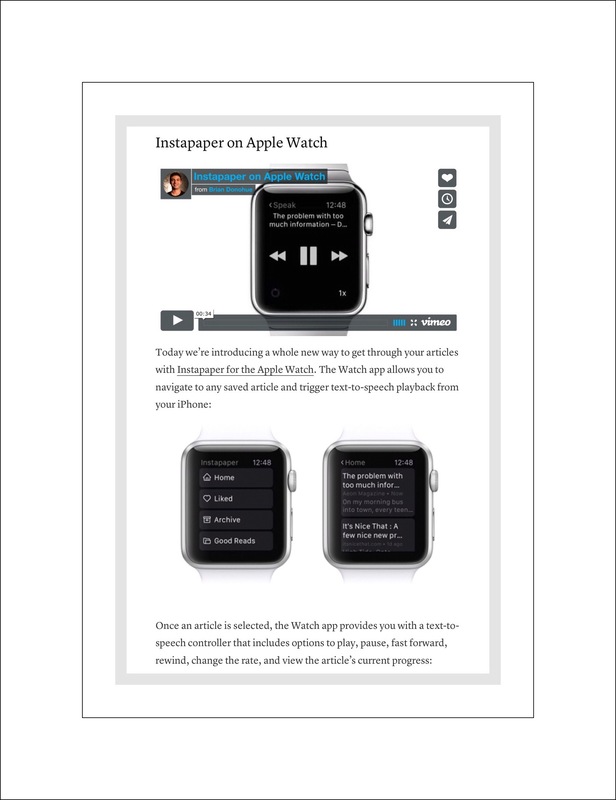 One of the coolest features of Instapaper is it’s integration with Apple Watch. Any article that’s saved in your account can be read to you by your Apple Watch! Anyone who currently owns a Watch knows that the volume on them isn’t the greatest, but this feature can be a life saver when you’re caught somewhere unprepared and you have some time to kill but a huge backlog of reading material to catch up with. 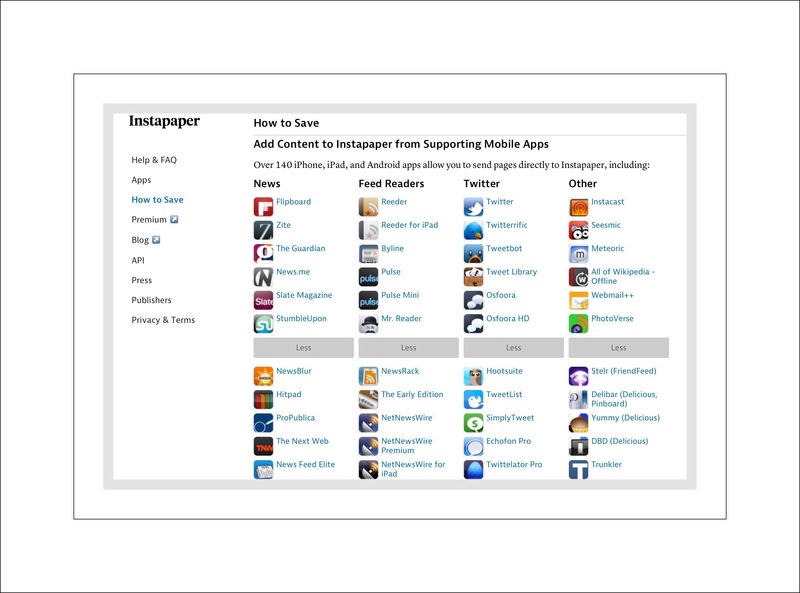 There are several other apps that offer features similar to Instapaper’s but the main competitor is Pocket. Pocket sometimes handles photographs and media content better than Instapaper but Instapaper overall is a better deal and does more I think. Pocket’s premium service is $45 per year versus Instapaper’s $30. 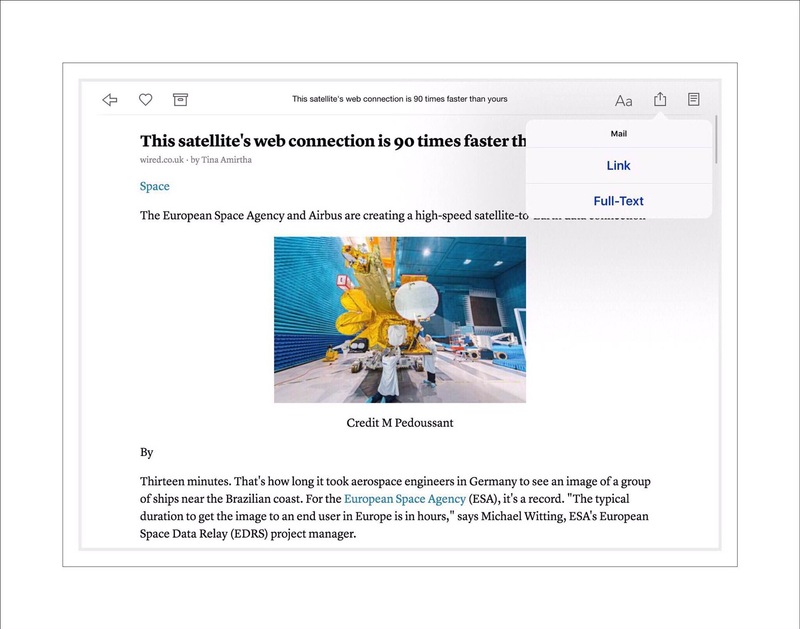 Instapaper gives users the ability to add highlights and notes to the articles it saves. Plus that Instapaper’s speed reading utilities are a huge advantage for me. 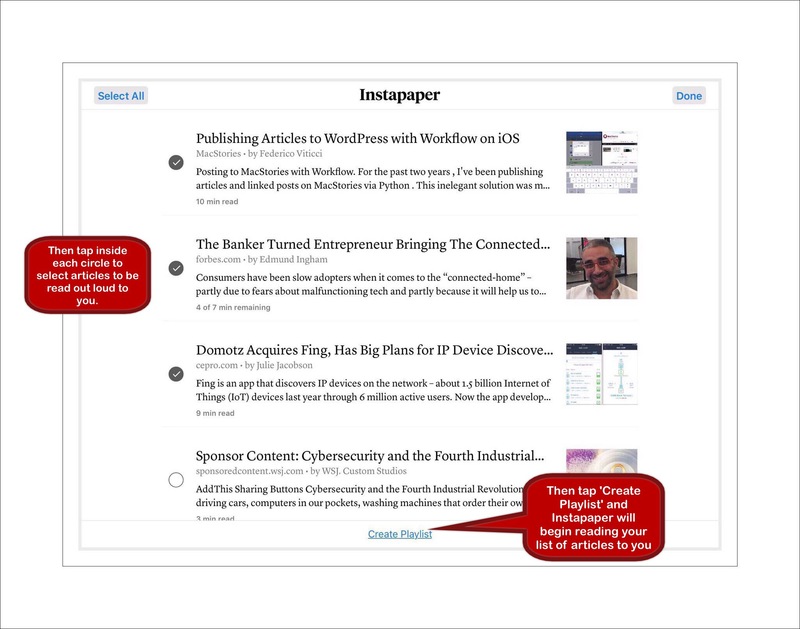 While you can have Pocket read individual articles out loud to you that just doesn’t stack up to Instapaper’s feature which let’s you create Playlists that include lots of articles that can be read one after another, with no additional input on the user’s part. This feature is excellent for long car drives and far safer too! To my knowledge Instapaper is available in several different languages including: Japanese, Simplified Chinese, Traditional Chinese, Korean, Spanish, Portuguese, German, French, Italian, Turkish, Russian, Dutch, and Polish. This entry was posted in Apps, ios apps, Productivity and tagged Instapaper, ios apps, productivity apps, Read Later Tools, Save time reading, Speed Reading. Bookmark the permalink.